At the 2015 Frankfurt Motor Show, Land Rover took curtains off its Land Rover Discovery Sport Dynamic 2016. Featuring a smart exterior and luxurious interior, the model boasts better performance statistics in comparison to others. 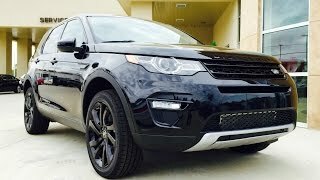 Let us have a look at the review of Land Rover Discovery Sport Dynamic 2016 to know in detail about it. The first thing to notice entering the interior of Land Rover Discovery Sport Dynamic 2016 could be the black leather seats that won’t just deliver comfort but also looks gorgeous with the red contrast stitching and the red piping that travels across the perimeter of seats. The accents of red can be further noticed in form of stitching all across the cabin. This includes the dashboard, center armrest and steering wheel while the red-hues aluminum accents over the paddle shifters, gear shift knob and center stack are a treat to eyes. Apart from these the rest remains same as in comparison to the standard Land Rover Discovery Sport, which I believe isn’t a con as ‘what’s good needs to be carried forward’. 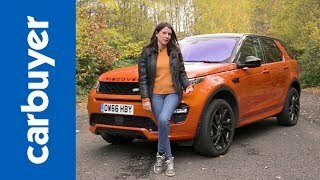 So concluding the interior details of Land Rover Discovery Sport Dynamic 2016 I would say, though changes are less but the one integrated makes the interior look more gorgeous. 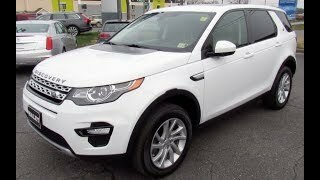 The exterior of Land Rover Discovery Sport Dynamic 2016 gets the maximum benefit of this new Dynamic package. Let us begin with the front fascia where we have ‘Discovery’ lettering on the hood accompanied by the black accenting which further marks its presence across the grille, fog light surrounds and the lower grille. 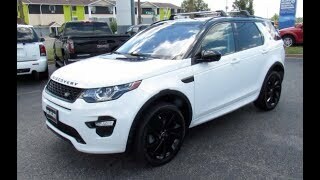 Looking from the side you’ll notice the same trend around the mirrors, black roof, A-Pillars and the wheel arches. Looking at the rear end of the model the same black accenting continues around the taillights and the bumper with blacked D-Pillars and chrome exhaust tips. Being pretty clean with the exterior details of Land Rover Discovery Sport Dynamic 2016 I would just say, that the black accents are the only inclusion creating the major difference here. 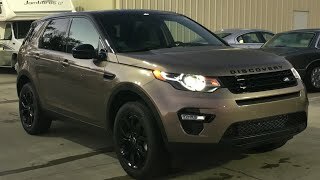 Beneath the hood of Land Rover Discovery Sport Dynamic 2016 will sit the same 2.0 liter turbocharged four-cylinder engine 240 hp and peak torque of 339 nm paired to ZF nine-speed automatic transmission. Looking at the same output figures we can presume that the performance figures of Land Rover Discovery Sport Dynamic 2016 will also remain untouched; this means the same top speed of 124mph and 0-60 mph sprint timing of 7.8 seconds.